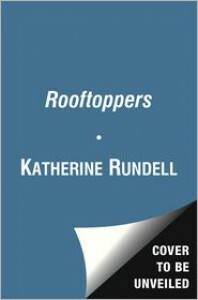 Rooftoppers was a fun read. If my ten year old self had read this, surely I would have rated the book 4 stars. My adult self wasn't as invested (since I wasn't the target audience; my opinion doesn't count against children! ), even though I appreciated the charm of the story. Matteo reminded me slightly of a childlike Han Alister, or perhaps a far more innocent version of a scamp from Oliver Twist. Caught between the upper end of childrens' and lower end of middle grade, I'm shelving the book as childrens, although readers of both age groups might find something to enjoy with Rooftoppers. I might keep the book to gift to my younger son in a few years. The little illustrations present at the beginning of each chapter were a nice addition to the story.